Our reputed entity is engaged in supplying Rai Baby Pillow. 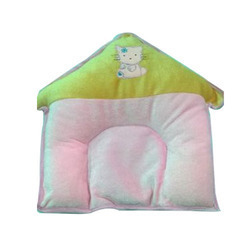 Aimed at prosper growth in our domain, we are instrumental in offering an excellent quality Baby Rai Pillow. 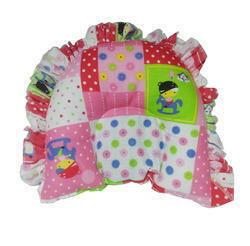 Highly smooth, this Pillow set is specially designed for baby. We are a top notch supplier of Cotton Rai Pillow. Our reputed entity is engaged in supplying Baby Cotton Rai Pillow. Due to the rising demands we are offering Baby Rai Pillow. The smart concluding with using latest apparatus makes it appreciated by clients. The obtain ability of the Ness in new designs and altered sizes are making it common among the regulars. We offer product to the noticeable regulars at minimum cost. Our company has been successful in winning appreciation from the clients as one of the most prominent names in the trading of Baby Rai Pillow. We are capable to offer a superior collection of Rai Pillow, which is identified for excellent quality and nominal costs. Our company has been successful in winning appreciation from the clients as one of the most prominent names in the trading of Seed Pillow. We are engaged in offering Rai Pillow. The Mustard-filled Pillow is highly recommended for infants. It is a traditional Indian pillow that is used especially for infants who are so young that their neck is still not steady. The Mustard Pillow is soft and yet offers adequate support for the infant's head and neck. Also ensures evenness. The contours of the pillow also enhance head and neck support. In order to meet excellent quality standards, we are supplying Mustard Pillow. - Supports your little one’s head as well as makes sure they don’t sleep in awkward sleeping positions. - This Mustard seed filling fully round shape pillow can be a useful product. With our decade of experience of the industry, we are offering a quality array of Baby Rai Pillow to our customers at pocket friendly prices.